Other forest newsmakers include: Pete Erickson (Nak’azdli First Nation) on the need for balance in BC; Rhys Andrews, (Selkirk College) on their new high-tech research program; Adam Ford (UBC-Okanagan) re: fire’s impact on mule deer; and Jeff Bishop (Forest Nova Scotia) on why forestry workers are a “misunderstood bunch”. Finally, a prelude to delisting the Grizzley in Montana and a reprise on yesterday’s good-news Softwood Lumber Board story (along with our Tree Frog commentary). The U.S. Department of Agriculture announced today that domestic manufacturers and importers of softwood lumber have voted overwhelmingly to continue the efforts of the Softwood Lumber Board. In the referendum… to determine the future of the softwood lumber industry’s market promotion check-off, a super-majority of manufacturing and importing companies established a strong new mandate to advance the program for another term. In a notice to the trade issued today, USDA reported that 78% of companies participating in the referendum representing 94% of volume voted to continue the program. For comparison, when the program began in 2011, 67% of voting companies and 80% of voting volume, respectively, voted to establish the program. News that the US and Canadian lumber producers agreed to continue funding the Softwood Lumber Board is great news! …the key value proposition of the Softwood Lumber Board check-off is that it unites the lumber industry behind a sustained, substantive and wide-ranging, market growth program that benefits all producers. Further, contributions are mandatory and thus it avoids the arch-nemesis of industry self- help, the “free rider problem”. …it represents industry’s first and best solution to overcome its fragmented nature, supersede current trade disputes and ensure substantive and sustained funding for market growth in perpetuity. …With respect to progress to date, the metrics look good – about $20 of incremental sales for every $1 invested. It has been a turbulent decade for the paper and forest products industry, but conditions rebounded in 2017 as the political winds shifted in the White House. Revenue for the top, publicly traded companies declined in 2014, 2015, and 2016 before finally recovering last year. The trend was consistent with export numbers, which fell 13.7 percent during the same three-year period and then improved 8 percent last year to 585,792 TEU, according to data from PIERS, a sister product of JOC.com. The compound annual growth rate (CAGR) was negative 1.4 percent over a five-year period, so work remains for the paper and forest products industry to return to 2013 levels. The American Forest & Paper Association (AFPA) said the industry struggled with two major threats over the last six years: technology and politics. …According to the AFPA, three mills and six machines that make printed writing paper permanently closed last year. In Dame Judith Hackitt’s final report for the Independent Review of Building Regulations and Fire Safety, recognition is given to the importance of using non-combustible materials. The report states that the use of such materials “inherently provides higher levels of protection”. There is also a call for a “focus on reducing on-going building risk during the occupation and maintenance phase”. 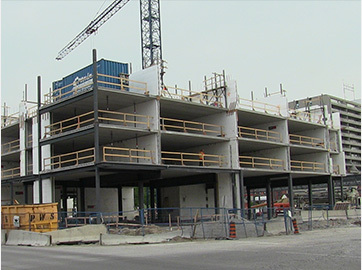 The Concrete Centre’s Executive Director, Dr Andrew Minson, has said: “It is now evident that buildings degrade, and fire protection is compromised during use of a building, so the choice of non-combustible concrete and masonry is a very good way to reduce these risks.” …The Concrete Centre believes that choosing non-combustible materials, such as concrete and masonry, …will provide the perfect starting point for building a safer environment for all. For Pete Erickson, a hereditary chief of the Nak’azdli First Nation, finding that perfect medium between economic support and natural resource conservation is key when looking into he future of British Columbia’s forest industry. “When you look at the impact humans have had on the environment, it’s going to kick us in the face,” says Erickson. …Erickson, who works as the natural resource sector liaison for the Nak’azdli Whut’en and the British Columbia Ministry of Forest, believes that there are at least two major factors that need to be addressed when it comes to B.C. forestry operation in the future. 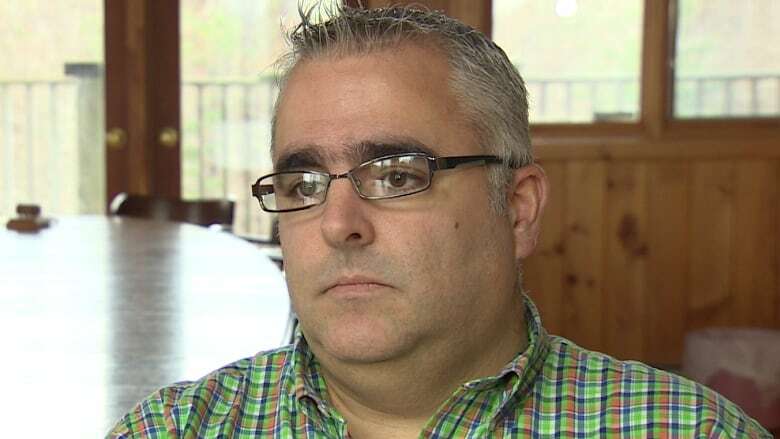 “One big factor is that First Nations everywhere want our land recognized,” says Erickson. “Second of all, we have climate change biting at everyone right now. A crucial piece of the plan to hand the biggest population of grizzly bears in Montana over to state management was released on Thursday. The U.S. 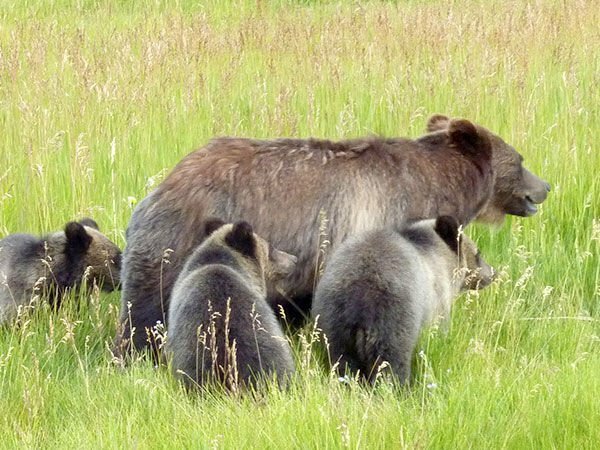 Fish and Wildlife Service’s Habitat-Based Recovery Criteria for the Northern Continental Divide Ecosystem describes what grizzlies there need to remain off Endangered Species Act protection if the federal government decides to delist them. A full delisting plan for the grizzlies should come up for public review in June. …Grizzly bears in the Lower 48 states were listed as a threatened species in 1975. Last year, the approximately 700 grizzlies in the Greater Yellowstone Ecosystem were deemed recovered and turned over to state wildlife agencies. Montana wildlife officials consider the NCDE grizzlies also recovered, and have asked the federal government to delist them as well. 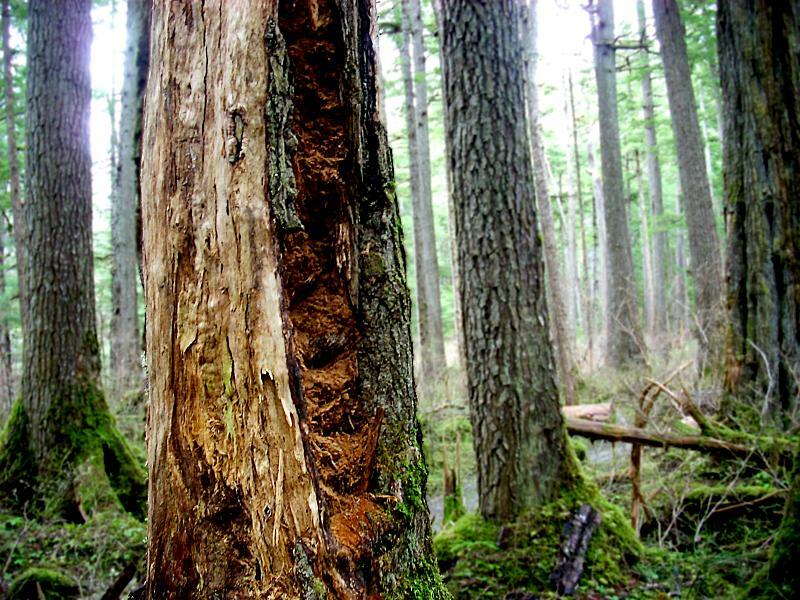 A controversial old growth timber sale in the Tongass National Forest has undergone a few changes before coming back on the market. The U.S. Forest Service removed some of the more sensitive watershed areas included in the original offer, which received zero bids back in 2016. Owen Graham, with the Alaska Forest Association, says… “If somebody did buy it, I hope they could make it work,” Graham said. “But I’d be surprised. It looks like a loser to me.” A “loser” — in Graham’s words — that he thinks wouldn’t pencil out for a buyer in the domestic or export market. Kuiu is extremely remote. Plus, the sale is now almost half the size of what the forest service originally planned. Responding to the tragic losses of homes and lives in wildland fires in California over the past year, Gov. Jerry Brown announced a “major offensive” against fire, in the form of a “Forest Carbon Plan.” The governor proposes to use $254 million of taxpayer money to double logging levels in California’s forests — to “at least” 500,000 acres a year — and to achieve it, he wants to reduce environmental protections. …The Forest Carbon Plan will exacerbate climate change while doing little to protect communities from fire. Most of the devastating impacts to communities from recent California wildland fires have occurred in grasslands, chaparral and oak woodlands — not in forests. …A gift to the logging industry, the governor’s proposal will leave communities more vulnerable to wildfire, not less. 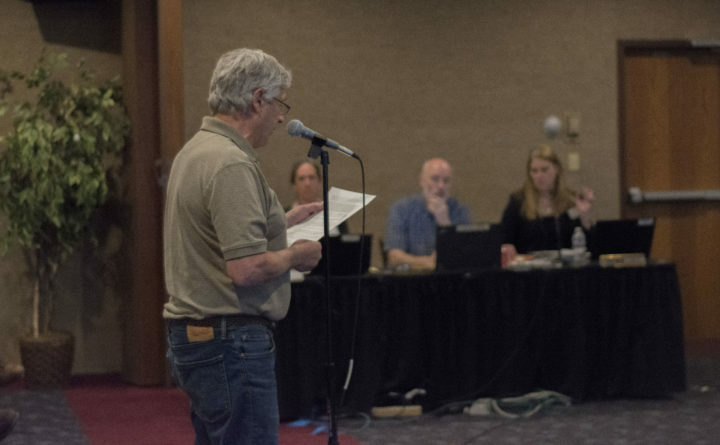 CARIBOU, Maine — All but one of 15 County residents who gave testimony on May 22 voiced their opposition to J.D. Irving Ltd.’s proposal to rezone 51,000 acres of land within the Fish River chain of lakes during a public hearing hosted by the Maine Land Use Planning Commission. The public hearing… began with comments from Irving Land Development Director Anthony Hourihan, who provided a summary of the concept plan, which includes rezoning about 1,923 acres of the 51,000, or roughly 3.7 percent, for development. 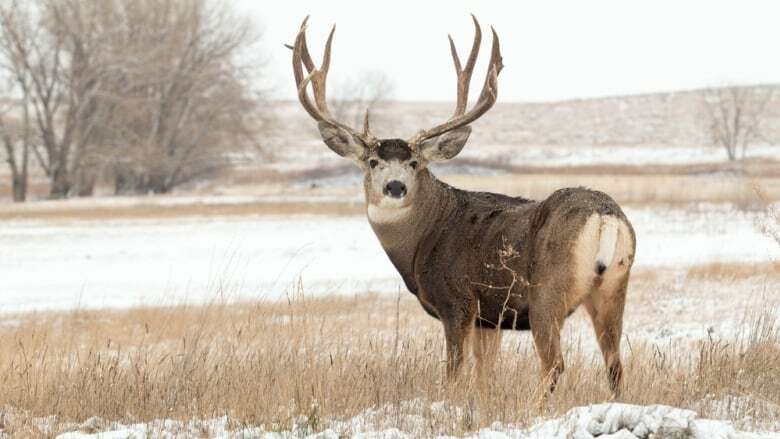 Of that 1,923, 1,496 acres are proposed for 11 new additional residential lots containing up to 330 units with the remaining 427 going toward four “community/economic development areas.” Another 14,750 acres would be placed into a permanent conservation easement. Forestry rules have been streamlined across the country in a move to make things clearer for those who work in the industry. The new rules, set by the Ministry for Primary Industries, apply to any forest of at least 1hae that has been planted specifically for commercial purposes and will be harvested. Bay of Plenty contributes 40 per cent of the total national harvest. Bay of Plenty Regional Council consent manager Reuben Fraser said local forestry and wood processing industries formed a significant part of the local economy and the single set of regulations were a good move. …The new rules cover eight core activities associated with plantation forestry such as harvesting, earthworks and river crossings as well as associated activities such as dust, noise and slash traps. 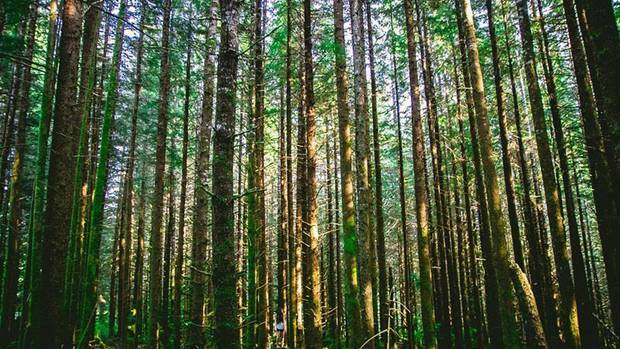 The Romanian forest management company Romsilva has received again an international forest management certification for three quarters of the forests it administers, the company announced. The certification applies to 74.64% of the state-owned forests that Romsilva administers, or 2.34 million hectares of forests. The certification in the Forest Stewardship Council (FSC) international system was done by the Soil Association Certification in the UK, a certification body designated by the FSC. The 2.34 million hectares of state-owned forest that Romsilva administers are grouped into six certificates of forest management, with a validity of five years. WINNIPEG — The weather co-operated Thursday with efforts to evacuate more than 1,000 people from two First Nations communities threatened by forest fires in northern Manitoba. With thick smoke no longer causing trouble at the airport in Little Grand Rapids, planes and helicopters were moving people out of the community as well as neighbouring Pauingassi, about 260 kilometres northeast of Winnipeg. …”As long as everything goes well, we are working towards getting everybody out … by the end of today.” A dry spring has led to an early forest fire season across Manitoba. There have already been 173 wildfires, compared to an average of 105 at this time of year, the province said. Firefighters tackle 3 new wildfires across B.C. The B.C. 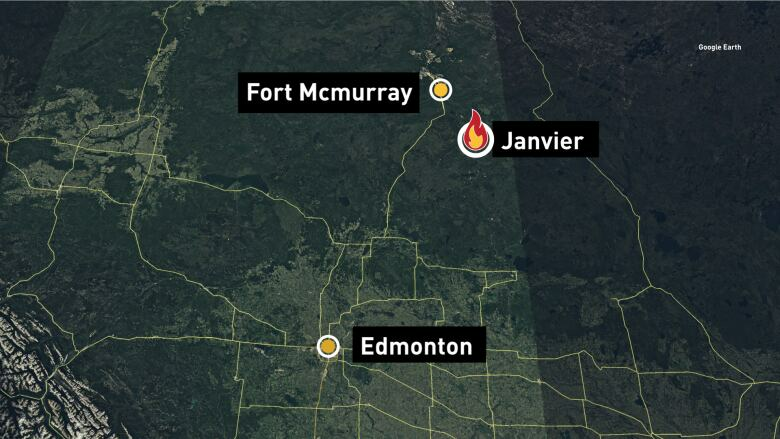 Wildfire Service is battling three wildfires across the province — two that have exploded in size over the course of an afternoon. The Allie Lake fire, north of Kamloops, has grown to 800 hectares. It was around 60 hectares earlier in the day. The blaze isn’t far from the perimeter of last summer’s Elephant Hill fire, which was one of the largest in the province during the season. 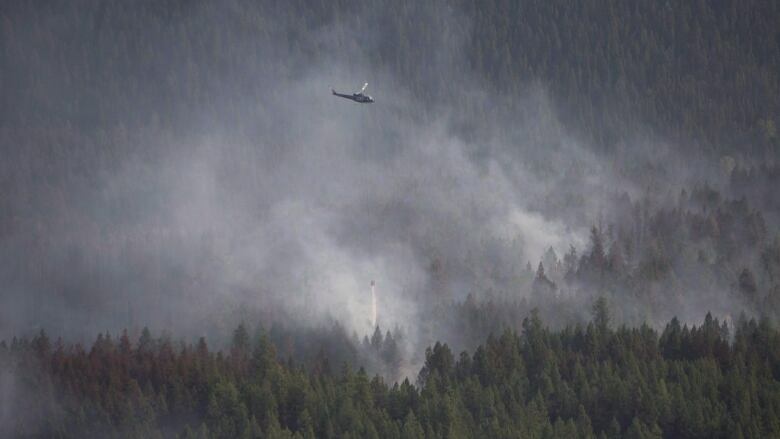 Another wildfire near Xusum Creek, about 35 kilometres west of Lillooet, has tripled to 300 hectares. …Two other evacuation alerts are in place and residents are urged to check the Squamish-Lillooet Regional District website for further information. …A third wildfire is burning on Vancouver Island, about 15 kilometres southwest of Campbell River. The B.C. Wildfire Service says the fire, near Middle Quinsam Lake, is now bigger than 12 hectares. There are 19 firefighters on the ground with two helicopters in the air. Per a report release issued on May 14, the BC Wildfire Service is strongly recommending that the public use extra caution when lighting or disposing of any fire, as well as immediately reporting any smoke or wildfires that they see. Over the next week, unreasonably hot, dry and windy weather is on the horizon for the entirety of the Prince George Fire Centre region, which includes Fort St. James. Due to these particularly dry and uncommonly windy conditions, the largest forest region in B.C. is especially susceptible to any sort of wildfire. 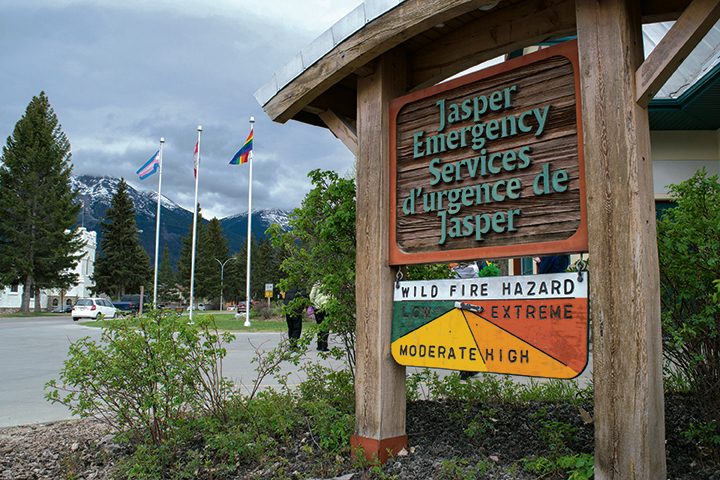 At the time of its release, the report states that since April 1, 2018, the BC Wildfire Service has responded to 48 fires within the Prince George Fire Centre region, also stating that they believe all of these fires were caused by human efforts. A 1600 hectare forest fire is burning out of control near Poplar Hill First Nation, north of Red Lake. This fire is one of eight currently burning in the region. The Aviation, Forest Fire and Emergency Services branch of the Ministry of Natural Resources and Forestry says that the fire entered Ontario from Manitoba on May 22. Crews have established sprinkler protection on structures in the area, and are developing plans to use aerial ignition to bring the fire to natural boundaries. It is currently unknown if any evacuations may be necessary. It is time to close the Prescott National Forest. Forests to the north and east of Yavapai County have done so, because of drought conditions and lack of precipitation. Yavapai County, including the Prescott National Forest, is currently in Stage II Fire Restrictions. …The Forest Service reports on its website that the fire restrictions “are proving effective. …” …However, we’re asking Forest officials to take the box of matches completely away from the tinderbox, to make the odds of avoiding a wildfire even better. The wildfire earlier this month that raged on the north side of Prescott Valley should be evidence enough, along with a host of smaller fires across the Quad Cities. And, while those have not been part of the forest, even a layman can see that our brown mountainsides are in just as bad of shape or worse. As energy costs for heating continue to rise in the region, homeowners, business and property managers are looking for alternative energy sources to save money. Wood pellets offer consistent and reliable savings over propane, heating oil and electricity for heating all while stimulating local forest sector job growth. Wood pellets for energy are carbon neutral and displacing fossil fuels for heating offers huge greenhouse gas emissions reductions. 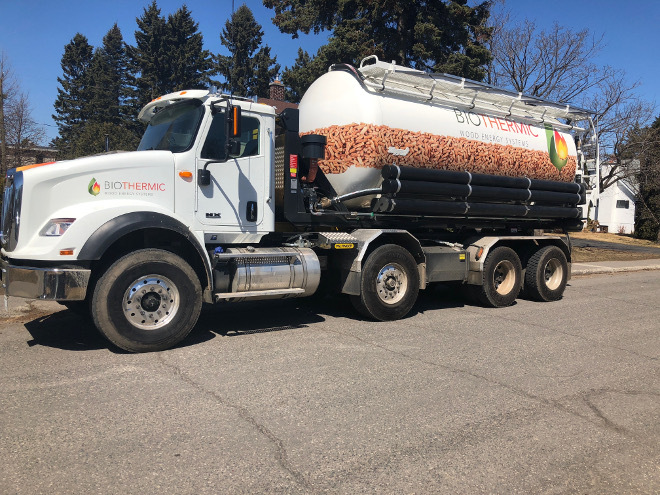 For modern wood pellet heating to be successful in the Region, trucks like this new Biothermic delivery truck are required to bring bulk pellets from local mills (Atikokan, Thunder Bay, Hearst, New Liskeard) to consumers. Biothermic’s pneumatic delivery truck is a giant leap forward in the modern wood pellet heating movement for Ontario. UK chemists and the country’s biggest power plant are developing a system that we’ll likely need to help keep global temperature rises from reaching dangerous levels. 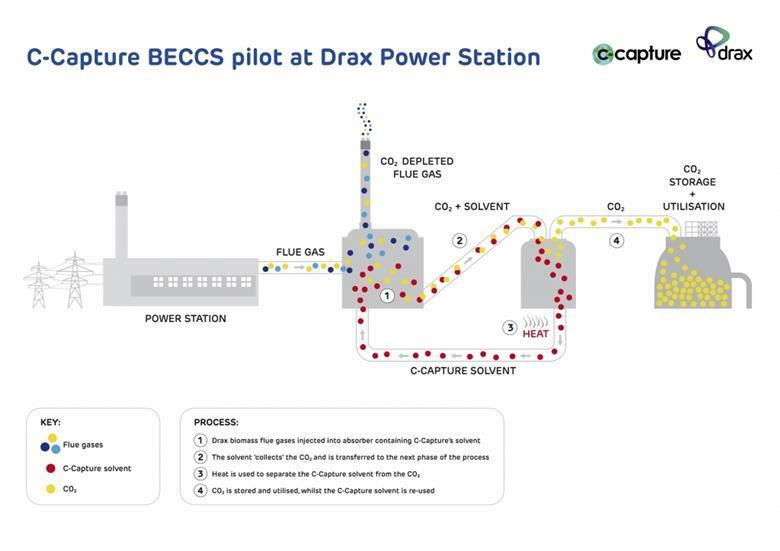 The £400,000 pilot scheme at Drax in North Yorkshire will be one of the first tests of biomass energy with carbon capture and storage, or BECCS. The underlying chemical technology, provided by spin-out company C-Capture, is ‘probably the best in the world’, according to the University of Leeds’ Chris Rayner, who is also technical director at the firm. ‘By the end of the project we plan to have operated a unit capable of capturing one tonne of CO2 per day,’ says Rayner. The resulting data will help design another pilot, around a 100 times larger. ‘We would need units operating in the thousands of tonnes per day [range] to capture a substantial amount of the CO2 that Drax produces,’ Rayner stresses.